Marina Spinner is the head of NGS’s litigation practice. Ms. Spinner began her legal career handling high-exposure cases involving Product Liability, toxic torts, and New York Labor Law. Currently, she handles many of the firm’s complex cases with an emphasis on defending Product Liability and labor law claims, and she supervises and manages the firm’s direct litigation and insurance coverage practices. Ms. Spinner has been involved in various facets of the World Trade Center litigation including representing victims’ families and insurance companies and reinsurance companies in subrogation actions brought against aviation defendants and security companies in charge of the flights on which the terrorists boarded and hijacked the planes which were flown into the World Trade Center. She has also served as national coordinating counsel for the world’s leading industrial machine tools manufacturer and for an asbestos containing product manufacturer. Ms. Spinner has also served as monitoring counsel of a large hospital insurance program for a major insurer. In this capacity, she oversaw the defense of medical malpractice claims against both hospitals and physicians. 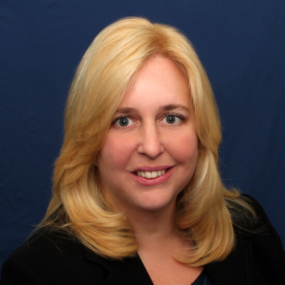 Ms. Spinner has lectured before the New York Insurance Association, The International Association of Claims Professional, and has presented seminars for various insurance companies and claims administrator on a host of topics including New York labor law insurance coverage, and premises and automobile liability.